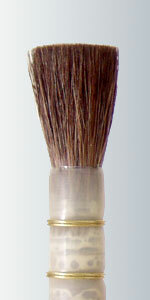 Our Quills have been used for over 35 years by our China Painters. Made with the finest Squirrel Hair available and set in Synthetic Quills for uniformity in size. Attached to a standard length handle.